Today was Walt Disney’s annual shareholder meeting. During the event, Bob Iger Disney’s CEO was asked if Hollywood Studios would ever change its name. Bob quick to answer responded with “It’s not announced. 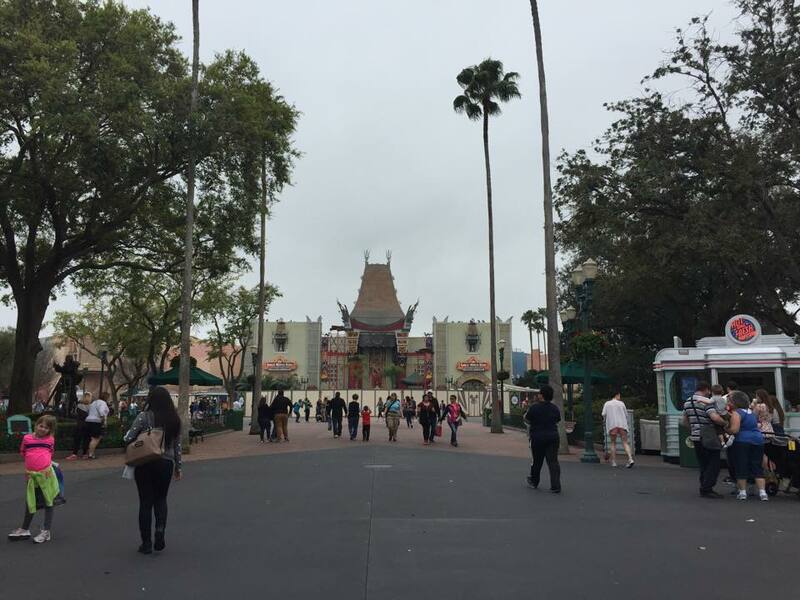 We used to be MGM Studios, we changed to Hollywood Studios and we’re doing some significant work there right now that I guess will result in a name change,”. In January 2008 Disney – MGM Studios was re-branded into Disney’s Hollywood Studios. Big things are sure to come for this half day park with the addition of a third track to Toy Story Midway Mania, the recent closings of The Legend of Captain Jack Sparrow, Studio Backlot Tour, and The American Idol Experience and the removal and destruction of Sourcer’s Hat, There are several rumors include a Star Wars Land, and a Toy Story Playland for upcoming major expansions. Those two things could be the “Significant work” that Iger was alluding to. Walt Disney World today announced the “Coolest Summer Ever” event which will take place during the whole summer. Included in this is the major announcement was The 24 hour day at Magic Kingdom. From 6am May 22nd to 6 am May 23rd the Magic Kingdom will be open for its guests to enjoy all of the fantastic attractions. This year to no surprise will be Frozen themed. It will be hosted by Olaf the Snowman and will Kick off the start of the summer season. With frozen involved this truly will be the “Coolest Summer Ever” at the resort. Also The Frozen Summer Fun at Disney’s Hollywood Studios is returning for its second season, Including the end of the night Frozen fireworks show. This will run June 17th – September 7th. 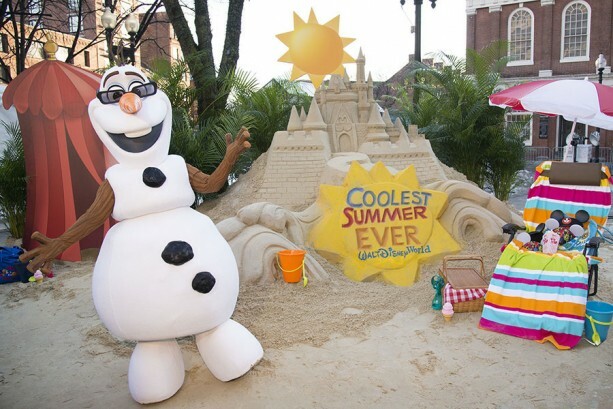 To announce the 24-hour event and the cool summer season, Disney today brought to life a warm summer scene inspired by Olaf’s dream, creating a 20-foot-wide beach complete with a Cinderella Castle made of sand in the middle of winter-weary Boston. Surprised pedestrians near historic Faneuil Hall were greeted by Olaf and joined by playful beach-goers in summer attire with beach chairs and beach balls – all reminders of an exciting season of fun ahead at Walt Disney World Resort and a welcome relief from the city’s near-record snowfall approaching nine feet. Memorial Day weekend is the traditional start of family vacation time, and Walt Disney World Resort will launch into the season full force. The Magic Kingdom will be open 24 hours to guests from 6 a.m. to 6 a.m., Friday May 22 to Saturday, May 23*. Guests will be invited to come in costume** to show their Disney Side while a selection of favorite attractions, entertainment, special event merchandise, plus food and beverage are on tap all night long to celebrate the start of the “Coolest Summer Ever” at Walt Disney World Resort. The around-the-clock celebration features Disney character greetings, dance parties and surprises into the wee hours of the night. During the “Coolest Summer Ever,” with Olaf as the official host, Walt Disney World guests can get their cool on all summer long at four theme parks and two water parks. Frozen Fun – “Frozen” Summer Fun LIVE will bring together Princess Anna, Queen Elsa, Kristoff and Olaf with citizens of Arendelle, all appearing daily in shows and experiences at Disney’s Hollywood Studios, June 17-Sept. 7. Guests will find cool thrills this summer including a royal processional, a sing-along show, Frozen-themed treats and merchandise, plus a Frozen fireworks display above Hollywood Blvd. Cool Thrill Rides – Guests will find thrills from mild to wild to out of this world in all four Walt Disney World theme parks. Don’t-miss attractions include Seven Dwarfs Mine Train, Space Mountain, Big Thunder Mountain Railroad and Splash Mountain at Magic Kingdom; Test Track presented by Chevrolet and Soarin’ at Epcot; Expedition Everest at Disney’s Animal Kingdom; Rock ‘n’ Roller Coaster Starring Aerosmith and Twilight Zone™ Tower of Terror at Disney’s Hollywood Studios. Star Wars Weekends – Guests at Disney’s Hollywood Studios will find stars from another galaxy during Star Wars Weekends May 15-June 14. New Restaurants and Shopping – Throughout the summer, new waterfront dining and boutique shops flow into the Downtown Disney shopping/dining/entertainment district as its transformation into Disney Springs continues. Epcot Entertainment – New entertainment acts will appear throughout Epcot World Showcase, which also brings a fresh summery twist on a fan favorite, Voices of Liberty. A Splash at Water Parks – A cool new deal doubles the fun at Disney’s two iconic water parks – Disney’s Typhoon Lagoon and Disney’s Blizzard Beach. Purchase a one-day water park ticket and park-hop between the two water parks in the same day that both are open. For more information, visit Disneyworld.com/CoolestSummerEver. Batman: The Ride is starting to look more like a roller coaster every single day. Randall stopped by to check out the progress. Join him as he shows off the ride from the ground, and on the train. Batman is the worlds first free spin 4th Dimension style roller coaster, built by S&S World Wide. Riders will flip upside down six times as they zig and zag across the track. Taking the place of the old car ride, Motorama Turnpike, Batman: The ride is in the Rockville 50’s themed section of Six Flags Fiesta Texas. 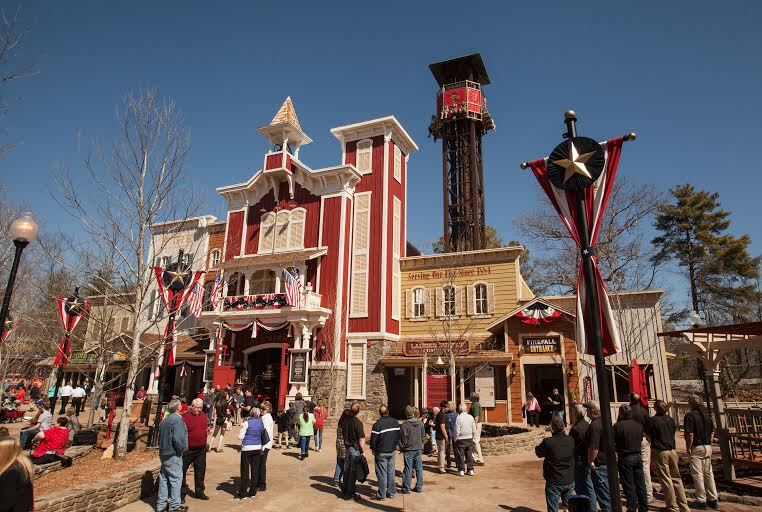 Silver Dollar City’s new 2015 attraction Fireman’s Landing had its first Fire Drill. The area is set to open March 14th adding 10 family adventures, Including FireFall an S&S Worldwide drop tower. 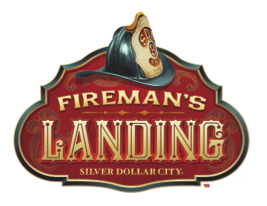 New for 2015, Silver Dollar City presents Fireman’s Landing, an $8 million all-new themed area with 10 new family adventures, as the park launches its biggest family year ever. development brings the number of the park’s rides and attractions to over 40 and increases ride capacity to over 21,000 per hour. 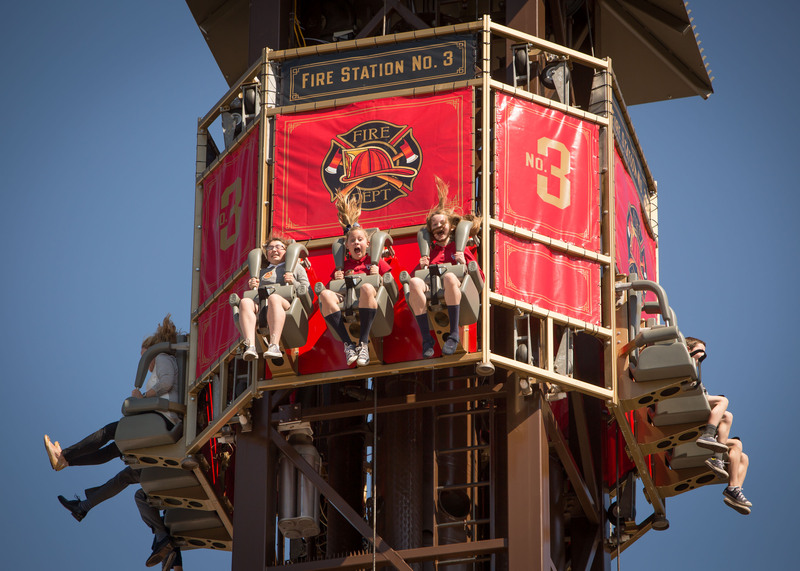 volunteers; Lucky’s Dizzy Dogs, a bouncy ride on Dalmatians racing around a fire hydrant; Up The Ladder, a smaller tower drop ride for junior recruits; and Fireman’s Flyer, a low-flying swing ride for little firefighters. Attractions include Firehouse Splash Yard, with squirting water jets and pump hoses for outdoor play. Inside Fire Station #3, enclosed and temperature controlled for season-long comfortable play, are Firefighter’s Fire Drill, with buckets, pumpers, foam ball cannons and targets for showering mock fires; Firefighter’s Fire Escape, an obstacle course of tubes, mazes, climbing structures and slides, and Firefighter’s Junior Fire Escape, a soft play area for toddlers. Silver Dollar City is an 1880s-style theme park in Branson, Missouri, featuring 7 world-class festivals and events, 100 resident craftsmen demonstrating America’s heritage crafts, rides from high-speed thrills to an authentic steam train, music and entertainment, all in a park-like setting. 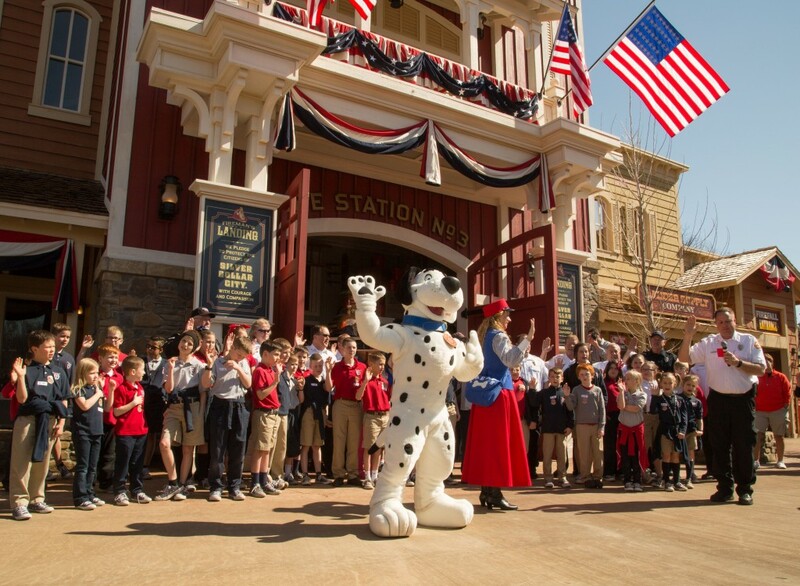 The park has been internationally awarded numerous times for excellence in theme, presentation and operations, including the worldwide Applause Award for excellence and the THEA Award (Themed Entertainment Association). Holiday World sent us a Press Release on the successful First Launch of Thunderbird, their New for 2015 launched wing rider. This coaster is build and manufactured by Bolliger & Mabillard who are known for creating some of the worlds greatest coasters. Holiday World and Thunderbird open on April 25th, 2015. Below is the press release and POV Video! 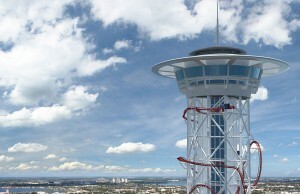 per-hour launch in 3.5 seconds, followed by multiple inversions – including a 14-story Immelmann loop, Zero-g roll, barrel roll, and a loop soaring 125 feet in the air. Fun Spot America in Orlando, Florida today announced the closing of their new ride Air Raid. Air Raid, a Crazy Flipping Spinning Flat Ride by Zamperla was added in November, 2014 is all ready being taken out. According to the Fun Spot America Facebook page the ride was having mechanical problems causing safety issues, “It has given us many maintenance problems and for the safety of our guests we are taking it out”. 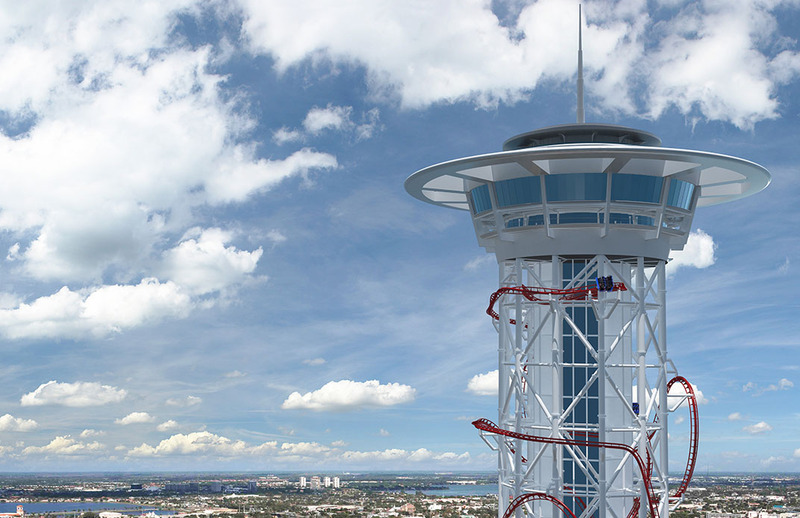 The go on further to talk about potentially getting a permanent version of the ride, ” We’re keeping an eye out for a more in-ground permanent model instead of a portable one”. Space Invader an S&S swing ride will be opening on in the park soon though. Modern Woodman Park in Davenport, IA is home to several rides and attractions. The home team The Quad City River Bandits offer more than just baseball within its stadium. Join Mike as he discusses the rides as well as the differences between running an amusement park vs. a ballpark with rides within its walls. Over the weekend Drew had the opportunity to take a rare walk back stage behind the scenes of Blazing Fury, Dollywood’s classic dark ride roller coaster. Within the video you will learn a lot about how they maintain this attraction and what the future holds for this iconic staple at Dollywood. Join Drew as he shows you around the track of this ride all decorated for a Smoky Mountain Christmas.